It is about to rain for the charismatic talisman and sensational striker of Zimbabwe and Mamelodi Sundowns notably known as Khama Billiat. There are transfer rumors that top flight American, Major League Soccer (M.LS) club LA Galaxy is very much keen on signing the sensational striker. The Zimbabwean born striker has relatively become one of the most sought after players in the ABSA Premiership side of South Africa. From becoming the first non-South African to clinch the player of the season award in 2016 to contributing to Sundowns's CAF championship and CAF super cup success in 2016, his reputation surely precedes him. Billiat has not only shown his great attributes towards the domestic league side of football but also internationally for his country Zimbabwe. In 2016 Billiat played a pivotal role towards the qualification of Zimbabwe in the Total AFCON championship. He was also part of the COSAFA team that clinched its fifth silverware last year in South Africa. 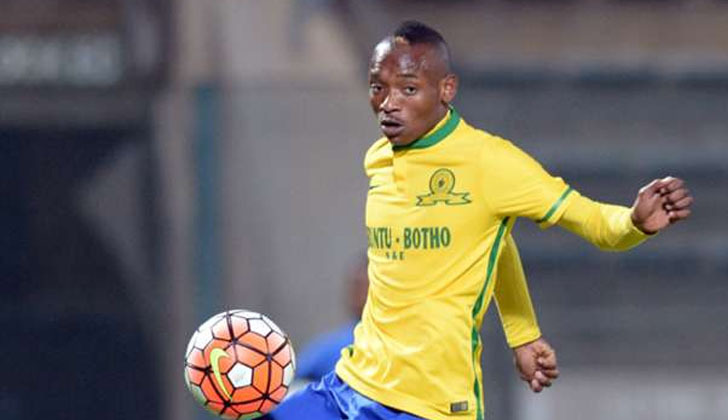 Prior to Billiat's transfer rumors to LA Galaxy, the young lad had been tipped to move to Zamalek of Egypt however, that did not resonate. With some of his former playmates such as Keagan Dolly and Bongani Zungu already showcasing their demeanor in Europe it seems as if it's now Billiat's time to hit the greener pastures. If Biiliat is to move to L.A Galaxy he will perhaps become the first Zimbabwean to play for such a top flight league team in the American soccer league. Billiat will also be rubbing shoulders with prominent players such as Ashley Cole, Zlatan Ibrahimović and Emmanuel Boateng. When asked for comment Billiat's agency M-Sport Management could not give any clarity pertaining his move to LA Galaxy.